“My work often combines hand-stitching and digital print which is something that I was able to push further than ever before with this collaboration. 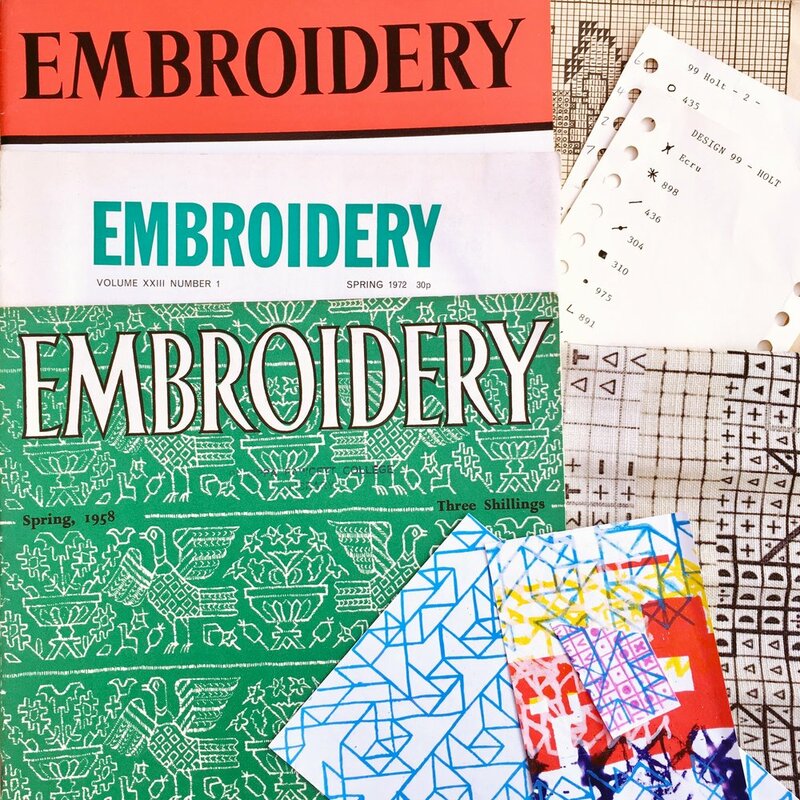 The pattern was created by scanning in vintage paper embroidery patterns sourced from charity shops, re-purposed to create something new. I love that the design has its roots in embroidery and we came full circle! " We discussed colour-ways at great length, there were so many choices and of course it was difficult to narrow down and make a final choice, such hard decisions to have to make! I am so pleased with our final choice and the wools we chose to hand embroider onto the chair enhance the design wonderfully, jewel like in their quality! Great too, that we can tweak colour-ways for future commissions should a customer have a particular colour scheme in mind, a rainbow of embroidered Pixel chairs, now that would be really something!